When we went to Blue Hill Stone Barn a few days ago (you can see photos here). One of my favorite things we had to eat (which didn't even count as one of the twelve courses) was their homemade sourdough potato onion bread. It was seriously one of the best pieces of bread I have ever had! The next morning I decided I needed to attempt to recreate this bread so I started scouring the Internet for the perfect recipe. To my disappointment I could not really find one that was suitable to what I ate. Instead of just trying to make the recipe up on the spot (which is typically my tune) I decided to try to perfect the bread base (sourdough) and I will soon attempt to create the perfect potato onion sourdough bread. I found this great recipe from Emeril Lagasse, but made a few tweaks. Add the flour and stir vigorously to work air into the mixture (aprox 5 or so minutes). Cover with a towel let rest in a warm, draft-free place (an oven with its pilot light or light bulb turned on works well) for 6 to12 hours. (The mixture should become very bubbly.) 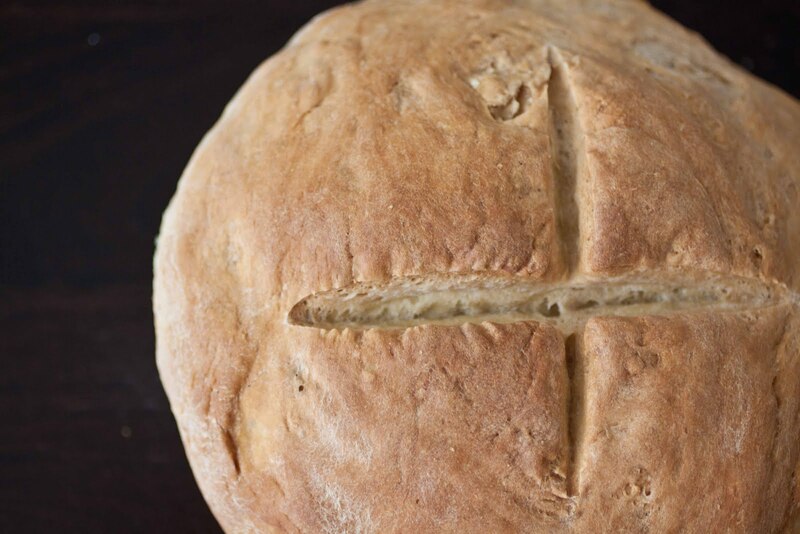 Use immediately - makes aprox 3 loaves of this bread recipe, but can be used for a variety of recipes! In a Kitchen Aid mixer with the dough hook (if you don't have a kitchen aid then you can knead by hand), combine the flour, starter and salt, and knead until it no longer sticks to the sides or bottom of the mixing bowl (if it too dry place mixture on counter and knead in water as necessary to form a dough ball). Place a lightly oiled bowl, turning to coat. Cover with plastic wrap and let dough rise in a warm, draft-free place until doubled in size, 1 to 1 1/2 hours. Turn out onto a lightly floured surface. Sprinkle lightly with flour and knead gently, removing any large air bubbles. 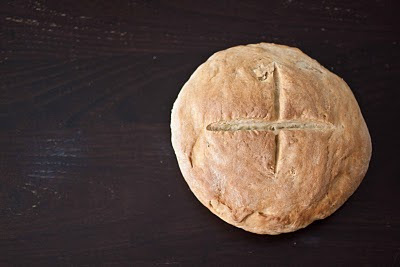 Knead into a small circle, then shape into a tight ball, pinching the seams together underneath. Place on a baking sheet, seam-side down. Cover with a kitchen towels and let rest until doubled in size, about 1 hour. Preheat oven to 400 degrees F. With a sharp, serrated knife, cut a large "X" or cross-hatch pattern into the top of the dough. Bake until golden brown and the bread sounds hollow when thumped on the bottom, about 60 minutes. Remove the loaf from the oven and let cool on a wire rack for at least 30 minutes before serving.